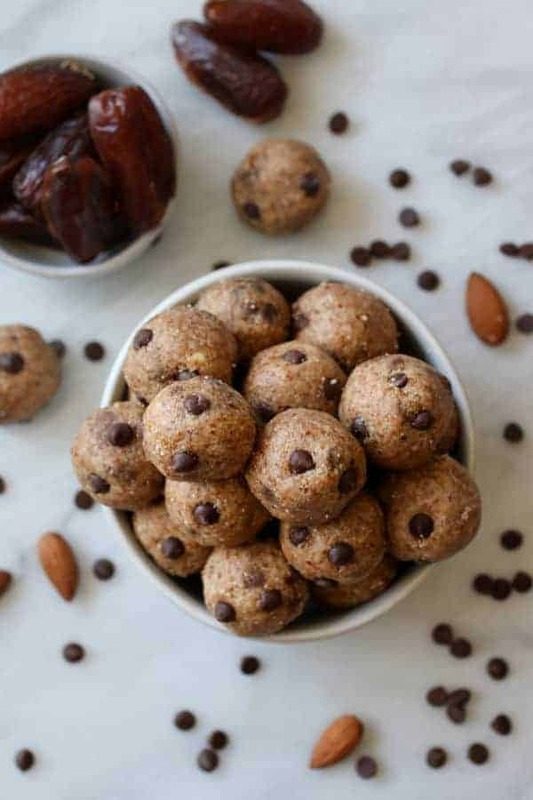 All you need is just 4-ingredients to make these Almond Butter Bites. 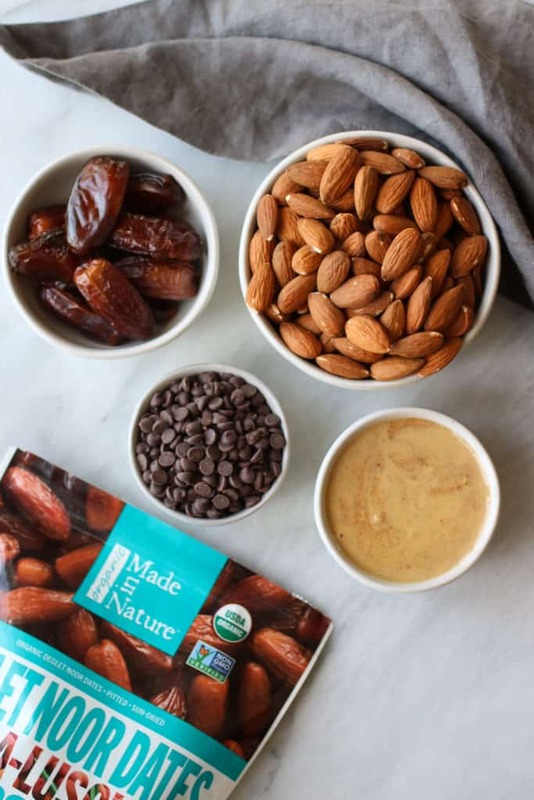 Almonds, almond butter, pitted dates and mini-chocolate chips. That’s it! 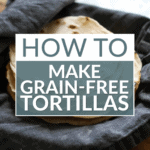 This grain-free, paleo-friendly and vegan-friendly recipe is a must try. It’s simple, it’s quick, and it’s crazy good! 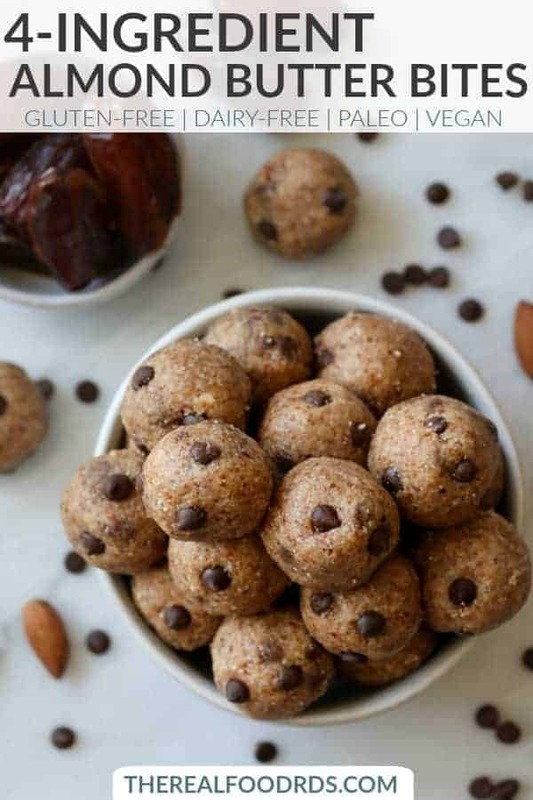 A perfect real food treat to enjoy as a snack, dessert, or as a pre-workout snack and also makes for a delicious lunch box addition. 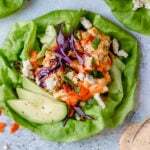 Last weekend, during my (stacie) meal prep, I created this recipe based on what I had on hand (ps: most of the recipes I create are based on what I have on hand). Sometimes my recipe creations turn out amazing….and sometimes not so much. Anyways, rest assured, these 4-Ingredient Almond Butter Bites were a definite success. Even though my hubby cringed when I threw in the dates, those dates certainly didn’t stop him from gobbling them up! I had to remind him that a portion size was 2 bites and finally decided it’d be best if I portioned them out. I recommend you do too. They’re a treat. Toss the almonds, almond butter and pitted dates into a food processor or high-powered blender and let er’ rip. This process will take about 7-9 minutes depending on the power of your food processor or blender. You may need to scrape the sides of the processor or blender if the ingredients begin to stick. In addition, if you over process the ingredients you’ll end up with a delicious and sweet tasting almond butter. The food processor I own is by Cuisinart in which I’ve been very satisfied with it’s functionality. Because mine is an older model, here’s a food processor that’s very similar. 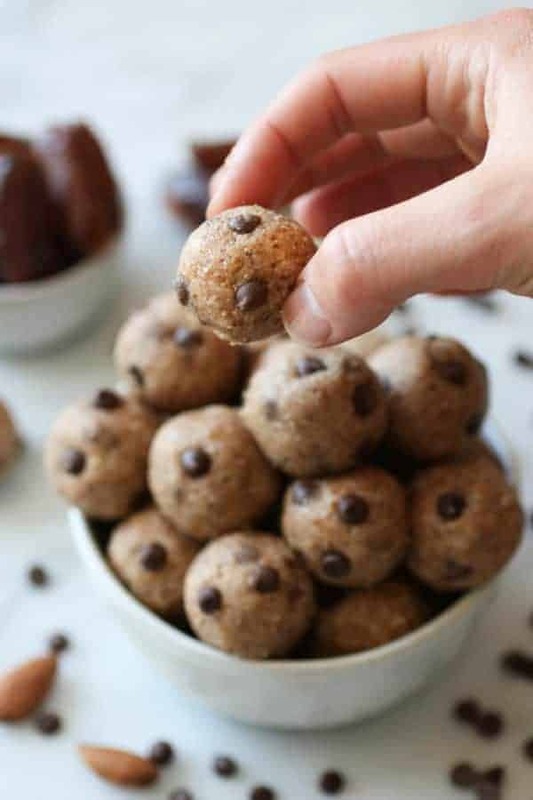 Fold in the chocolate chips and let the fun begin! 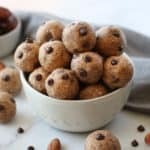 For the mini-chocolate chips, I like Enjoy Life brand because they’re gluten-free, dairy-free, peanut-free, nut-free, soy-free, and vegan making them an allergy-friendly option for all to enjoy (no pun intended). 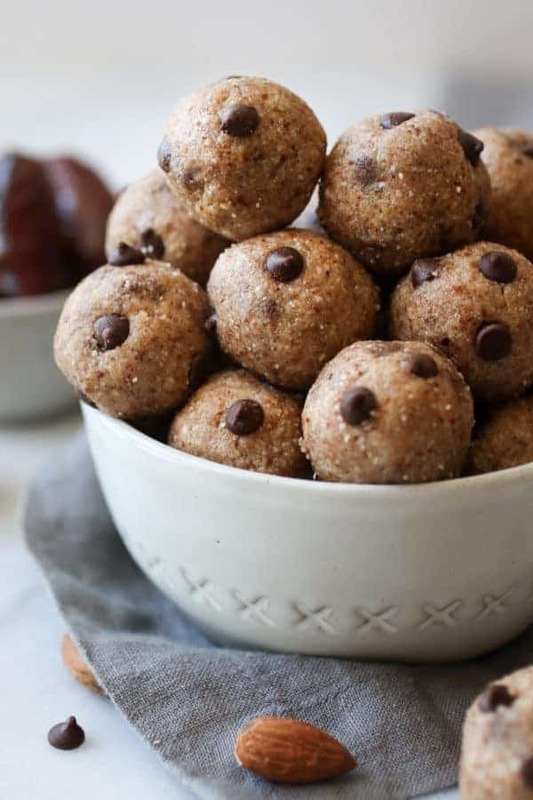 To form the round Almond Butter Bites you’ll want to firmly press the dough together in your palm and then begin to form into a small ball. You’ll notice that the oils from the almonds will begin to release as you press the dough together. This is exactly what you want because it will help the dough stick together and not to your hands, making the ball rolling process much easier. We’re all about ease here. I also recommend oiling your hands before rolling into balls. One final note. 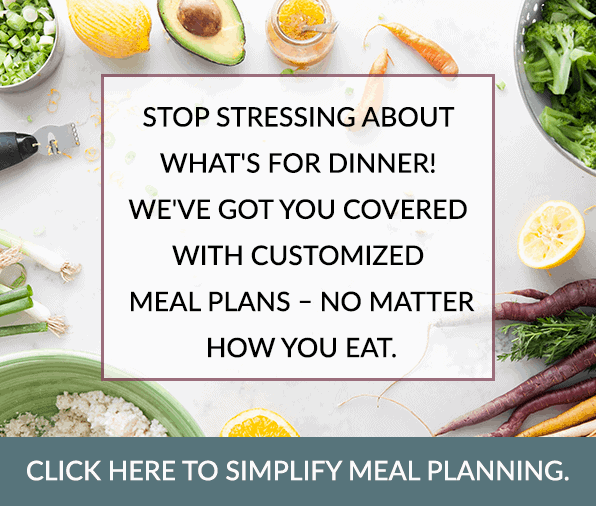 As you may know, I am a huge fan of bulk cooking and freezing meals. 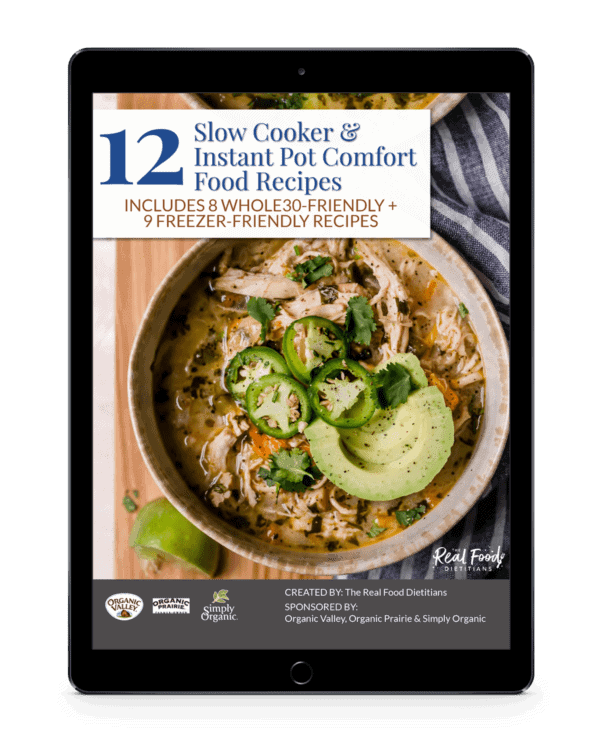 This recipe is freezer-friendly too. 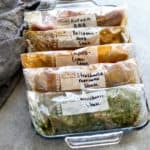 If you wish, go ahead and double the recipe and freeze-half of the bites for next weeks treats and lunch box additions. Is your mouth watering yet?! Mine is just writing about these delicious Almond Butter Bites. Now go give this recipe a try. 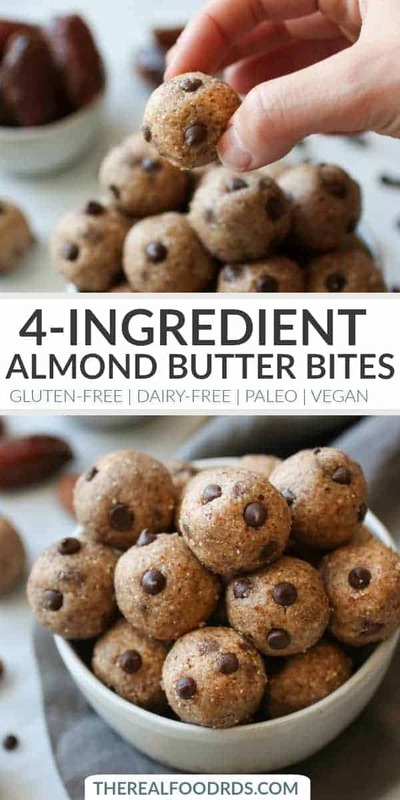 It takes just 4-ingredients to make these delicious Almond Butter Bites. They’re great to enjoy for a snack, dessert, or pre-workout fuel. Now that’s what we call keeping it simple! 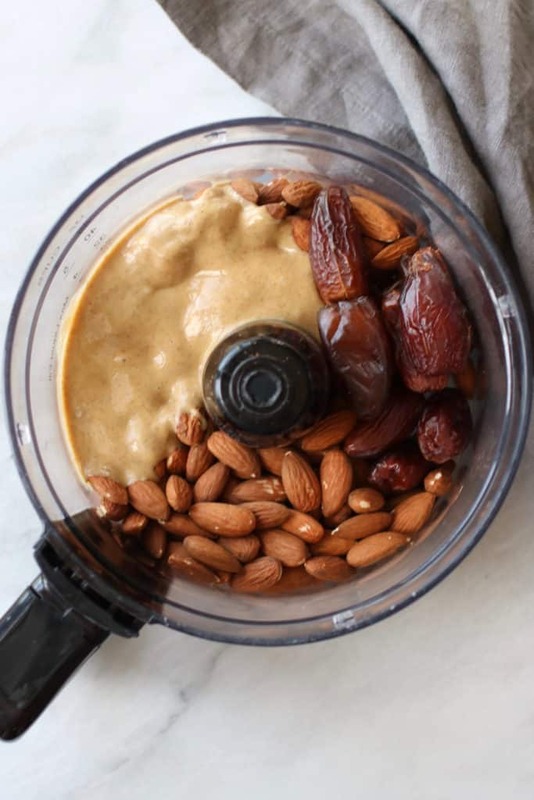 Place raw almonds, almond butter, and pitted dates into a food processor (may use high-power blender). Process for 4-6 minutes or until ingredients start coming together. Scrape the sides as needed throughout the process (you may need to do this every few seconds towards the end). Test dough with hands by pressing the dough together firmly making sure it will form a ball. If the dough does not come together after 6-7 minutes of processing, add a little extra almond butter or 1-2 tablespoons of water. Transfer dough to medium bowl. With oiled hands, firmly and with pressure, form the dough into round bites. This recipe will make 24-26 bites. Let us know if you give these a try and if you’d like to see more recipes like this one! Yum! These looks great. Just found you on IG. 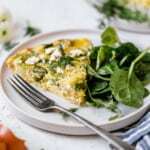 Can’t wait to follow for more delicious recipes! Thank you so much Anne! 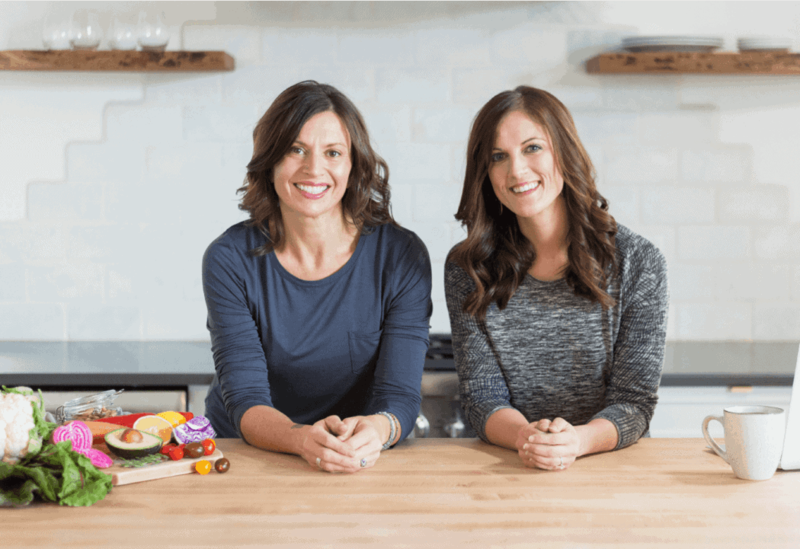 We’re so happy you found us and hope that you enjoy our delicious recipes. 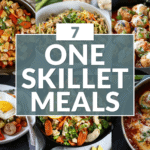 Always check back for more because we post about 2-3 recipes or nutrition posts/week! Slung great but I need to use less dates since this is too sweet for me. I would use only 1/3 cup dates so what unsweetened ingredient can I replace it with to keep the right consistency? Hi Miriam. Yes feel free to reduce the dates to make them less sweet. Coconut oil would work but I’d suggest that you add a tsp. at a time until it reaches the right consistency to form into round bites. Let us know how they turn out! Thanks! I’m pregnant and made these as an attempt to satisfy sweet cravings in a healthy way. They are fantastic! My entire family loves them–does the trick for everyone. So easy to make. Would love more recipes like this! I follow a FODMAP diet currently and can’t do dates, figs or prunes. Do you have any ideas for a good substitute for the figs? Hey you could try these instead as they do not call for dried fruit. 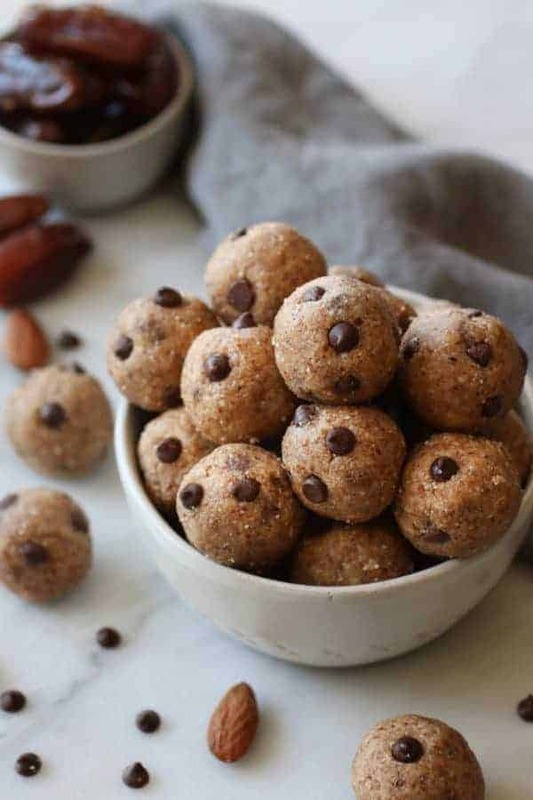 https://therealfoodrds.com/peanut-butter-chocolate-chip-energy-bites/. 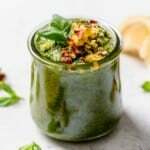 Could I use ground almonds? I can’t wait to try these! 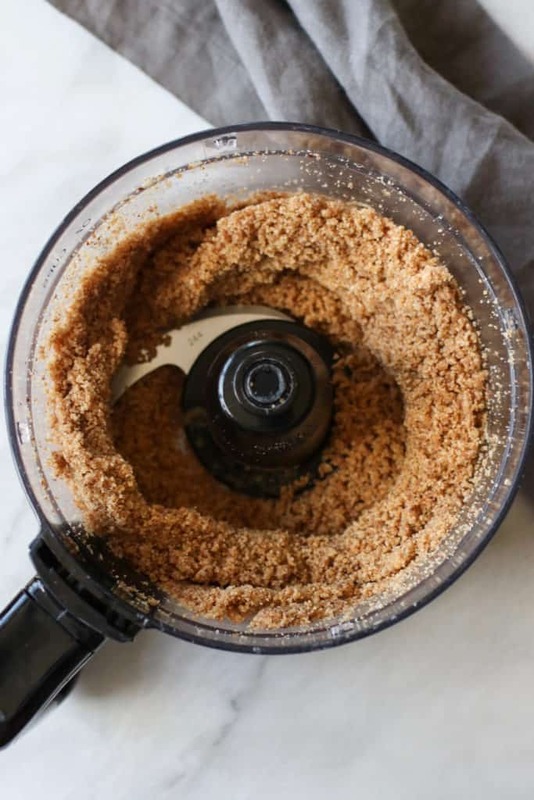 I suppose you could use ground almonds – you wouldn’t have to process them as long though you may need to use more or less than what the recipe calls for.